When it comes to family matters, finding a legal group that supports you through the process is going to be your biggest challenge. O’Brien and Wood Law has worked with a few different types of family law cases and we’re eager to provide future clients and individuals in help with the resources they need. 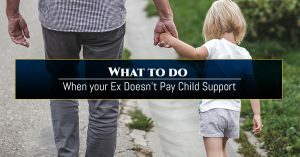 The posts in this section of our blog will provide you with the guidance and assistance that you need when it comes to having a smooth case.